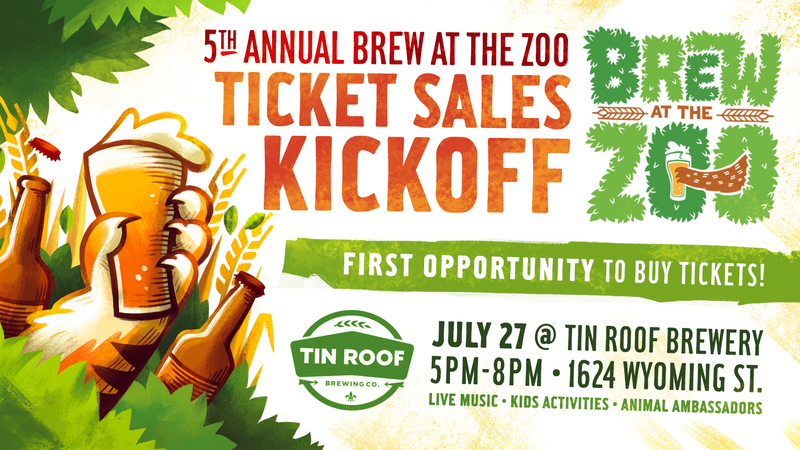 It's the 5th Annual Brew at the Zoo and we are helping kick off the event July 27th. Tickets sell out early and this is your chance to get them BEFORE they go on sale August 1st. Join Friends of the Zoo and Tin Roof for some live music, family fun activities and maybe even some zoo animal appearances! Food trucks will be out and ready to keep you full and happy. An hour early access to the event. Skip the lines at express check in. Access to the VIP Tent with specialty food and drinks.